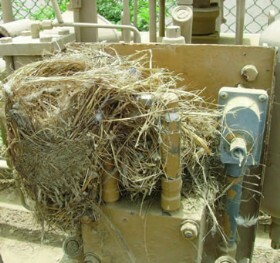 This Schafer RPC nitrogen gas-over-oil control system was installed approximately twenty-six years ago and has proven so reliable - and has remained undisturbed for so long - that it has become the home to a family of birds! 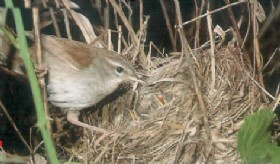 The occupants are thought to be Cetti’s Warblers, and the nest is quite large, so represents - quite literally - a lifetime’s work. Likewise a lifetime’s reliability has been provided by the Schafer system, which is protecting a pipeline that crosses a river, in particularly arduous conditions. Such sustained reliability is vitally important as the system must work under all foreseeable circumstances. We think it’s fair to say this product has exceeded expectations! 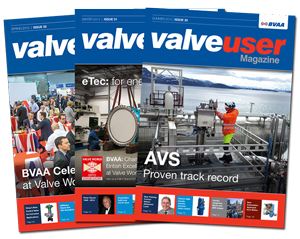 Many thanks to Coos van Minnen of Emerson Process Management, Netherlands, for sending in this unique picture.